We believe that gold and silver have likely bottomed in 2018 and that the best time to buy is NOW! The upside potential absolutely dwarfs the downside risk. Mining stocks are oversold and offering excellent entry points. We expected leveraged gains from quality miners at this bull cycle takes off! 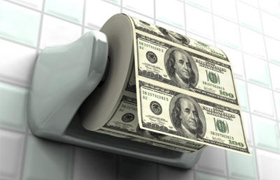 Meanwhile, the U.S. Dollar, under the heavy load of growing debt and loss of its coveted world reserve status, will continue to lose value and purchasing power. 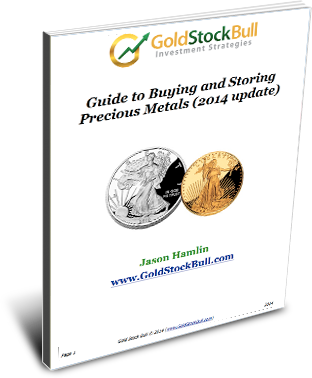 Special FREE Guide to Buying & Storing Gold Download Instantly! By downloading, you hereby agree to Terms & Conditions. By continuing to use this site, you agree to the terms and conditions expressed below. 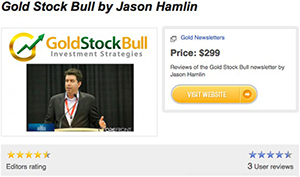 Jason Hamlin is the owner of Gold Stock Bull and whenever "Gold Stock Bull" is referenced, it also applies to Jason Hamlin. Neither Gold Stock Bull nor Jason Hamlin are an investment advisory service, nor a registered investment advisor or broker-dealer and neither purport to tell or suggest which securities customers should buy or sell for themselves. All ideas, opinions, and/or forecasts, expressed or implied herein, are for informational purposes only and should not be construed as a recommendation to invest, trade, and/or speculate in the markets. Any investments, trades, and/or speculations made in light of the ideas, opinions, and/or forecasts, expressed or implied herein, are committed at your own risk, financial or otherwise. The information provided by Gold Stock Bull has been prepared without regard to any particular investor's investment objectives, financial situation, and needs. Accordingly, investors should not act on any information in this site without obtaining specific advice from their financial advisers and should not rely on information herein as the primary basis for their investment decisions. Information contained herein is based on data obtained from recognized statistical services, issuer reports or communications, or other sources, believed to be reliable. However, such information has not been verified by Gold Stock Bull or any of its employees. Gold Stock Bull makes no representations or warranties or takes any responsibility as to the accuracy of completeness of any recommendation or information contained herein. Gold Stock Bull accepts no liability to the recipient whatsoever whether in contract, in tort, for negligence, or otherwise for any direct or consequential loss of any kind arising out of the use of the information provided on this website, or of the recipient relying on any such recommendation or information (except insofar as any statutory liability cannot be excluded). Any statements nonfactual in nature constitute only current opinions, which are subject to change without notice. Gold Stock Bull (www.goldstockbull.com) provides no assurance or guarantee of "up-time," or reliability. Gold Stock Bull does not guarantee to be free of errors, malicious code or computer viruses. Gold Stock Bull is not responsible for any loss of data, financial loss, interruption in services, claims of libel, damages or loss from the use or inability to access Gold Stock Bull, any linked content, or the reliance on any information on the site. Gold Stock Bull does not warrant, represent or endorse the accuracy or reliability of any of the information, content, advertisements, or Third Party Sites and Content (as defined below) (collectively, the “Materials”) contained on, distributed through, or linked, downloaded or accessed from GoldStockBull.com, nor the quality of any products, information, or other materials displayed, purchased, or obtained by you as a result of an advertisement or any other information or offer on or in connection with GoldStockBull.com. You acknowledge that any use of or reliance upon any Materials shall be at your sole risk. You acknowledge and agree that you bear responsibility for your own investment research and investment decisions, and that Gold Stock Bull shall not be held liable by you or any others for any decision made or action taken by you or others based upon reliance on or use of information or materials obtained or accessed through use of GoldStockBull.com. Prior to any transaction in securities, you should consult with a qualified professional securities or financial advisor. Gains or performance information relating to the Gold Stock Bull model portfolio are rough estimates and not actual gains realized by anyone at Gold Stock Bull. It’s often very difficult if not impossible to buy at the exact alert prices and/or sell exactly at their highs. These are unaudited numbers and may not be exactly accurate. Past performance is not an indicator of future returns. This web site contains "forward looking statements" within the meaning of Section 27A of the Securities Act of1933 and Section 21B of the Securities Exchange Act of1934. Any statements that express or involve discussions with respect to predictions, expectations, beliefs, plans, projections, objectives, goals, assumptions or future events or performance are not statements of historical fact and may be "forward looking statements." Forward looking statements are based on expectations, estimates and projections at the time the statements are made that involve a number of risks and uncertainties which could cause actual results or events to differ materially from those presently anticipated. Forward looking statements in this action may be identified through the use of words such as "expects", "will," "anticipates," "estimates," "believes," or statements indicating certain act ions "may," "could," or "might" occur. Gold Stock Bull will not sell your email address to anyone, ever, for any reason. Period. Web Cookies A "Web Cookie" is a string of information that a website stores on a user's computer, and that the user’s browser provides to the website each time the user submits a query to the site. We use Web Cookies to track the pages that users visit during each Site session, both to help us improve users' experiences and to help us understand how the Site is being used. 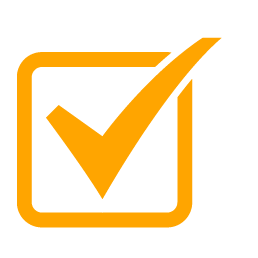 As with other non-Personal Information gathered from users of the Site, we analyze and disclose in aggregated form information gathered using Web Cookies, so as to help us, our partners and others better understand how the Site is being used. We do not attempt to link information gathered using Web Cookies to Personal Information. USERS WHO DO NOT WISH TO HAVE WEB COOKIES PLACED ON THEIR COMPUTERS SHOULD SET THEIR BROWSERS TO REFUSE WEB COOKIES BEFORE ACCESSING THE SITE, WITH THE UNDERSTANDING THAT CERTAIN FEATURES OF THE SITE MAY NOT FUNCTION PROPERLY WITHOUT THE AID OF WEB COOKIES. 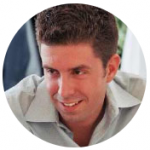 USERS WHO REFUSE WEB COOKIES ASSUME ALL RESPONSIBILITY FOR ANY RESULTING LOSS OF FUNCTIONALITY. The US Dollar is Dying! "The world is moving away from the U.S dollar in international trade. This is being driven by China, Russia and other BRICS nations that have established trade agreements that bypass the dollar. This is raising concerns that the greenback is about to see its long run as the world's premier denomination come to an end. It will be one of the greatest wealth transfers of all time! Which side will you be on? The greatest gains are going to come from the best-in-breed leveraged mining stocks. 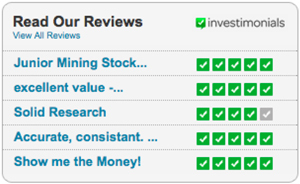 In fact, mining stocks are now the most OVERSOLD and UNDERVALUED that they have ever been! There is ENORMOUS money to be made by those brave enough to buy while others are selling. Join Our Community of Successful Investors... Become a Premium Member today! View the Gold Stock Bull portfolio with our top stock picks in precious metals, mining stocks, cryptocurrencies and cannabis stocks. Get the top-rated Gold Stock Bull Contrarian Report each month. 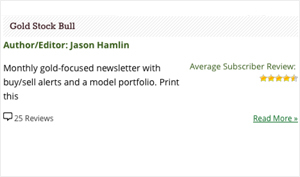 The newsletter is 15+ pages and includes research and analysis to help maximize your profits! Valuable trade alerts direct to your inbox anytime that we are buying or selling, with rationale for the action. Detailed technical analysis to help you time when to buy and sell and quantify the profit opportunity. +41% Our top gold stock is up 41% year to date, despite the correction in the gold price! +17% Our latest junior gold stock addition is up 17% in 2018. +115% Our top cannabis pick is up 115% so far this year and over 800% since we bought it! +22% Our top cryptocurrency pick is up 22% this year, despite the sector correction! The GSB model portfolio returned over 330% during 2017 on the back of strong gains in cryptocurrencies and cannabis stocks, while precious metals corrected and consolidated. While we are long-term gold bulls, we are constantly scanning for profitable investment opportunities across multiple sectors for our subscribers. "Your take on our economic situation resonates so true. Joining the premium service has made a huge difference to my portfolio over the past 6 months and I couldn’t be happier. Thank you, thank you, thank you!" "With a keen eye for picking breakout stocks and detailed research into emerging miners, this is hands down the best investment newsletter I have ever read. Keep up the good work!" "You’ve made me some good money and you are the best stock picker of the 3 newsletter I follow." 30-Day Money-Back Guarantee!100% satisfaction or your money back. No questions asked. I spend researching and uncovering profit opportunities for my subscribers every single day. 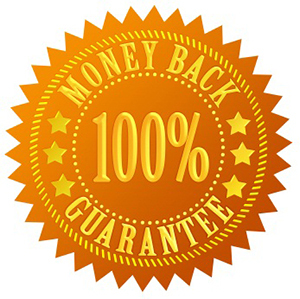 I believe the newsletter will pay for itself many times over and hundreds of paying subscribers agree.If for any reason you are not 100% satisfied, you can cancel at anytime within the first 30 days for a FULL REFUND!I am so confident that you will find this service valuable that I am offering a 30-day money back guarantee! You can download the newsletter, check out the GSB portfolio, receive our trade alerts and download our premium guides. Get Started Now for Only $495! Plus Trade Alerts Whenever We Are Buying or Selling! Gold Stock Bull is not an investment advisory service, nor a registered investment advisor or broker-dealer and does not purport to tell or suggest which securities customers should buy or sell for themselves. All ideas, opinions, and/or forecasts, expressed or implied herein, are for informational purposes only and should not be construed as a recommendation to invest, trade, and/or speculate in the markets. Any investments, trades, and/or speculations made in light of the ideas, opinions, and/or forecasts, expressed or implied herein, are committed at your own risk, financial or otherwise. The information on this site has been prepared without regard to any particular investor’s investment objectives, financial situation, and needs. Accordingly, investors should not act on any information on this site without obtaining specific advice from their financial advisor. Past performance is no guarantee of future results.